You Are Here: Home → Fire: Malawi’s children’s game? One thing that is difficult to understand is the politics of fire. Just like funerals in the advent of HIV and Aids, fire has made the country become hopeless such that it continues to cause havoc, destroying property worth millions of kwacha. For few examples, fire razed the office of former minister of Agriculture, Irrigation and Water Development George Chaponda at Capital Hill in Lilongwe, Deekay Suppliers’ warehouse in Blantyre, Judge Charles Mkandawire’s house in Lilongwe, Carlsberg Malawi Limited’s brewery, a boys’ hostel at Blantyre Secondary School and Balaka District Council building. Some of these fires created suspicion among some people. A case in point is the one that gutted Electricity Supply Corporation of Malawi (Escom) offices in Blantyre. There was suspicion that some people wanted to hide some dubious financial activities. Investigations have yielded nothing and blame games have taken a leading role. Almost five years down the line, the mystery continues. 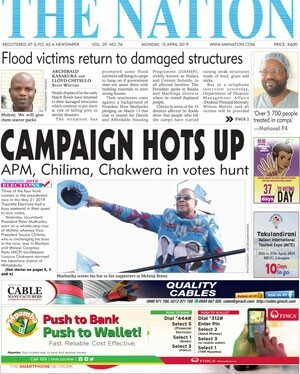 Then there was the fire that gutted the Malawi Electoral Commission (MEC) warehouse in Lilongwe. The warehouse contained votes for the disputed Lilongwe City South East Constituency where the court had ordered a recount. This created suspicion among some people who suspected that the fire was deliberately set to prevent a recount. The fire that gutted some offices at crime busting Anti- Corruption Bureau (ACB) was another area that created suspicion. Some people suspected that the fire was deliberately set up to destroy some evidence. Although its director Reyneck Matemba claimed that the fire did not destroy key documents, few believed. Fire in vehicles and some houses are the order of the day and this has stopped to be news. There was fire at Mangochi and Ntcheu district hospitals whose causes remain a mystery. 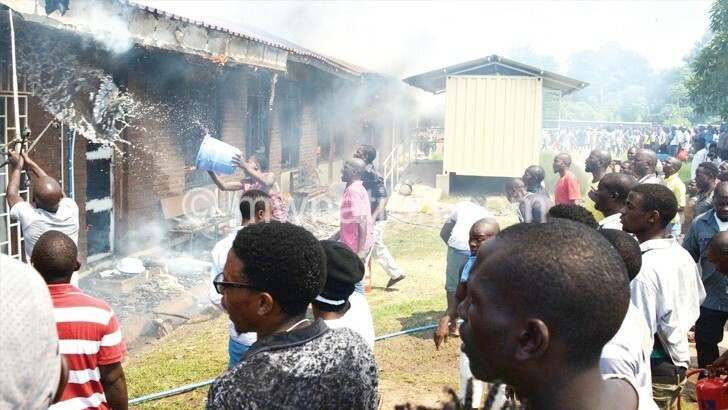 Malawi Prison Service (MPS) headquarters is still assessing the fire that damaged its offices in Zomba. Other fires that no one seems to care about are those that destroyed markets. The list of markets that have caught fire is long. Some of them are Ngabu in Chikwawa, Bangwe in Blantyre, Salima Central and Msangu in Salima, Lilongwe Central, Lilongwe Area 24 and Area 18 markets, Mzuzu Market, the list is endless. Why has someone never been taken to task? Has it become a children’s game where something happens then things just move on without a conclusion? Centre for Human Rights and Rehabilitation (CHRR) executive director Timothy Mtambo also expressed worry over the issue. He said the issue of fire, although destroying property worth millions, is neglected by authorities. “All over the world, the issue of fire is taken seriously because a lot of property is lost. Unfortunately, this is not the case in our country because all we know is compensating those that have been affected. We seem not to care about who is responsible. “We are used to t h e trend where fire is reported, investigations instituted and conclusions take a long time to conclude. They [investigations] are instituted just to make people believe that something is being done,” he said. Mtambo gave an example of fire at Mangochi District Hospital where no one has been made to account for the incident although millions of property was lost. The director said people are forced to speculate not only because of the inconclusive investigations into fires, but the timing of some of them. “The fire at MEC offices in Lilongwe came when there were disputes over the winner of Lilongwe City South East Constituency where the court ordered a recount. The fire at the offices of the Ministry of Agriculture happened when there were investigations into how maize was purchased from Zambia. “We are not saying someone set the fire deliberately, but without real explanations from authorities, people are bound to conclude about the timing and coincidences of these incidences. You cannot blame them,” said Mtambo. But Minister of Information a n d C o m m u n i c a t i o n s Technology who is also government spokesperson Nicholas Dausi said government cannot be blamed for the fires because it is not responsible. “Government cannot keep on arresting people because we are not there to do that. That is the work of the police. If people know who deliberately set markets on fire, they should report to police,” said Dausi. After the fires in markets, many politicians rush to the scene, not to help find a solution, but for publicity stunts where they donate something and make the world know.